Have you ever woken up on New Years Day and had any of the following thoughts? What leads to weight gain in the first place? Understanding the problem. Beyond vanity, the way my body felt after the holidays used to be just awful. I kind of dragged through the holiday season in general, overeating and feeling like crud. Who wants to wake up in the morning feeling sluggish and tired every day? Especially when you’ve got all sorts of ongoing pressures and obligations. Not me. But it wasn’t just the holiday sweets that did me in every year. My overall diet led to weight gain, lethargy and other health problems. Even a plate of fried tofu and rice in peanut sauce would leave me feeling and looking bloated, and just not performing at the top of my capacity as a human being. That’s right, being vegan alone was not enough for me to feel or look my best. Gasp! Going vegan is super trendy these days, but as someone who went plant-based decades ago and made all the beginner’s mistakes, I cringe when I see the unhealthy vegan junk food being promoted out there in mainstream media today. There will be a backlash against veganism in time, and for good reason, because people are going to look and feel awful after a few years of eating that way. And then they’ll blame a vegan diet when in fact they were just doing it all wrong. (You’ll know, because they’ll get very loud about it on social media saying things like, “I tried a vegan diet and it just didn’t work for me.”) Even vegans in it solely for ethical reasons will struggle when their own health begins to fail. I really, truly do NOT want that happening to you! Changing your diet, changing your destiny. They say the greatest gift you can give the world is the YOU that you really want to be. Who is that for you? Who are you trying to become? What are you becoming right now, today, this week, this month, this holiday season? The last meal you ate today – did it lead you towards your goal or away from it? The holidays can be a stressful time filled with seemingly endless temptations everywhere we look. And when they’re over, we can feel as though we did some serious damage to our bodies. But it’s not too late to turn the ship around! So I’m sharing some extremely effective tips to help you lose weight this year. 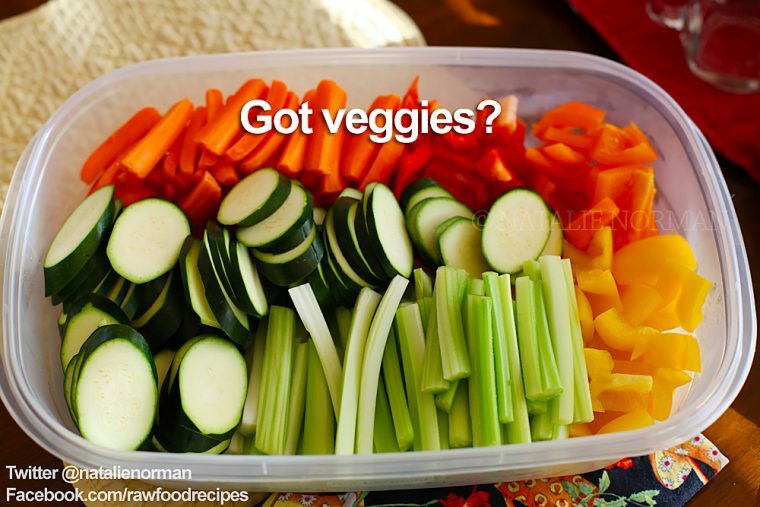 These tips will become part of your toolbox of strategies to help you stay on a healthy plant-based diet for life. 1. Dealing with social functions: Pack & Preload! You will always hear me say that intelligent strategy trumps the myth of “will power” any day of the week. Relying on the ability to simply resist temptation when you’re hungry is crazy! Yes, you might succeed some of the time, but eventually you will succumb to desires and indulge, or even trigger a binge, resulting in guilt and possibly falling off track from your healthy eating altogether. A solution to that is the strategy of preloading. Preloading means eating some of your own healthy food before you go out to eat or to any social function where you might be tempted by food and drinks that derail your health goals. 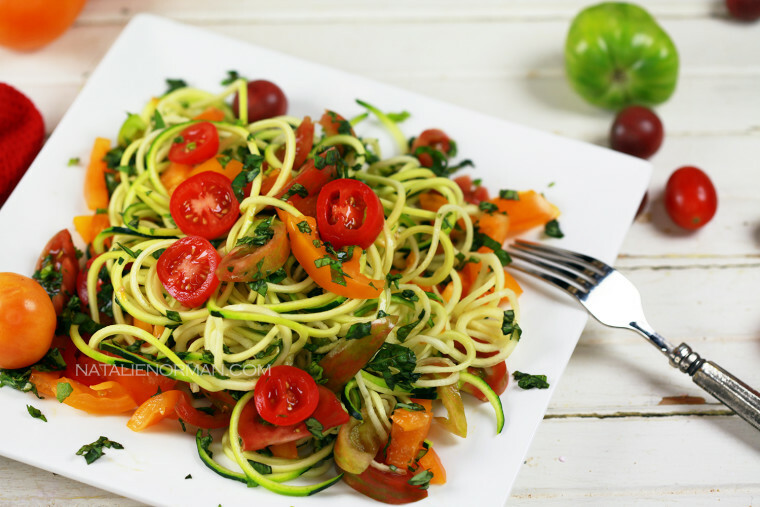 An example of a filling raw vegan meal you can eat to preload is zucchini pasta. 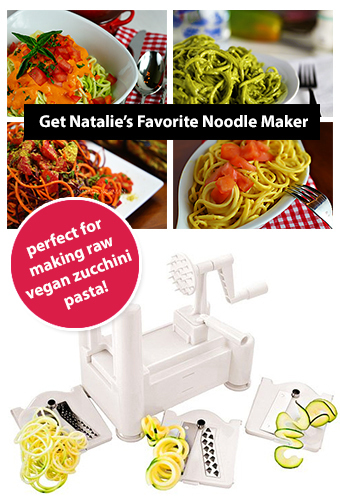 Made with my favorite spiral slicing tool, zucchini Pasta is a wonderful “fast food” that you can customize in unlimited ways. In this photo, you can see I’ve paired it with very simple, fresh, tasty ingredients including sweet and tangy cherry tomatoes, basil, and lemon juice. You can also make a big blender full of raw vegan protein smoothie to keep you full for hours. 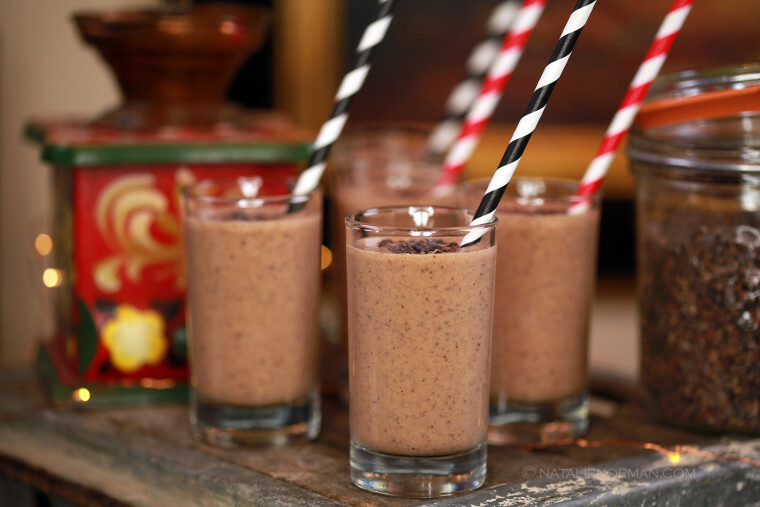 Here is a recipe for Mexican Chocolate Mocha Milkshakes that’s sure to please your appetite and sweet tooth. Or you can check out some other smoothie recipes on my website. Cravings come from being hungry and/or deprived. 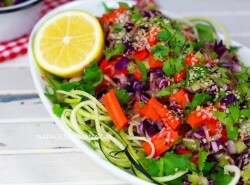 The beauty of raw foods is that you are always satisfied, and deliciously so. You can also preload on simple, whole fruits! This will really help with your appetite, keeping you full and energized. Likewise, keep fruit handy in your desk, backpack, purse, briefcase, car, anywhere possible. Set yourself up for success by creating an environment that helps you stay on track. So, so good! That recipe makes a dip that tastes a lot like nacho cheese, oddly enough. And we can’t forget the desserts! One of my downfalls used to be all the tempting sweets and treats served at parties and at every holiday function. Well, since going raw I can happily report that I am no longer a prisoner of those cravings, ever! Remember to be patient and open to questions when you bring a raw vegan dish. People are curious. Take the time to answer their questions with kindness, but don’t waste time debating. Just smile and excuse yourself if a debate starts; you don’t need that kind of anxiety and that’s not how to influence people, anyway. Your most compelling argument for a healthy lifestyle is being a healthy, happy person. Just trust me on that one. Ok, so….let’s talk sweets. 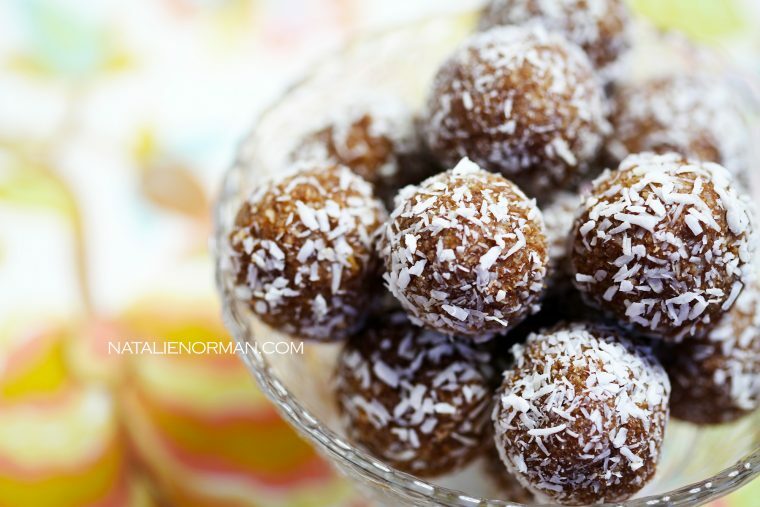 Raw Vegan Coconut Chocolate Truffles. So easy to make and also to customize! Here is the basic foundation recipe for creating these yummy raw food candies. 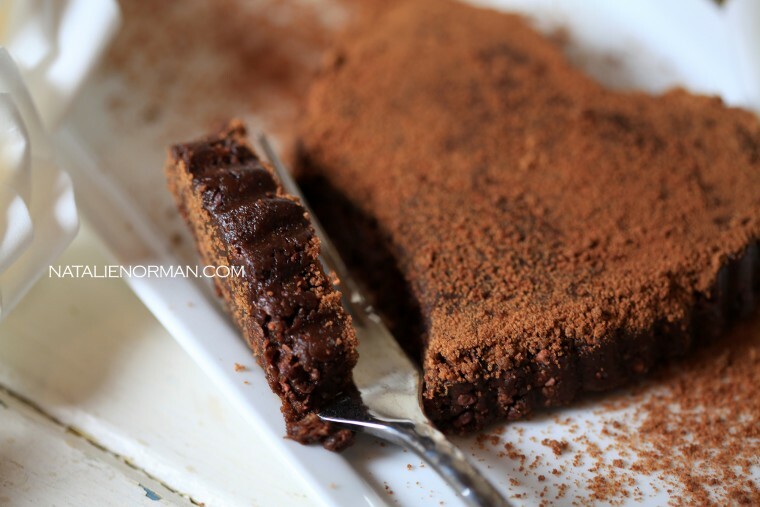 This raw vegan Sugar-Crusted Chocolate Tart is another raw food dessert that’s easy to make. Enjoy it by yourself or bring it to social events. 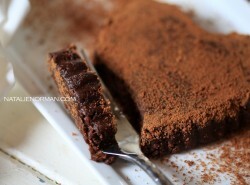 Here is a recipe I created one day when I was in the mood for a deep, rich chocolate flavored dessert. 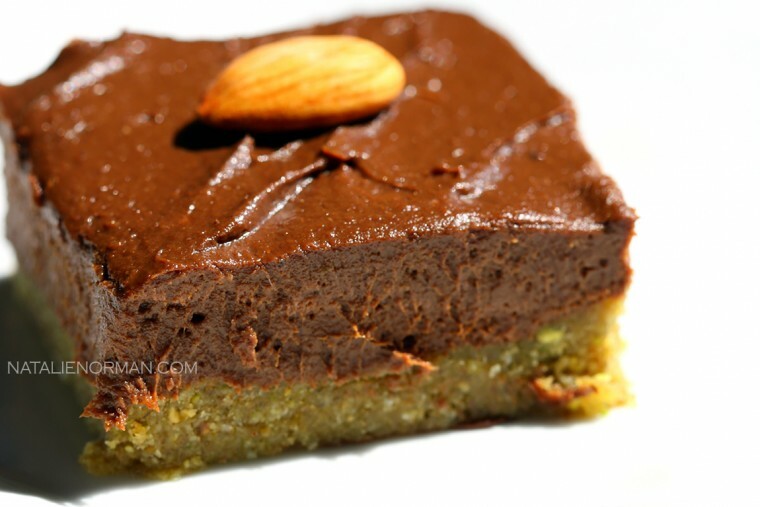 Try this Raw Vegan Chocolate Cream Pie with Pistachio Macadamia Coconut Crust recipe, too. 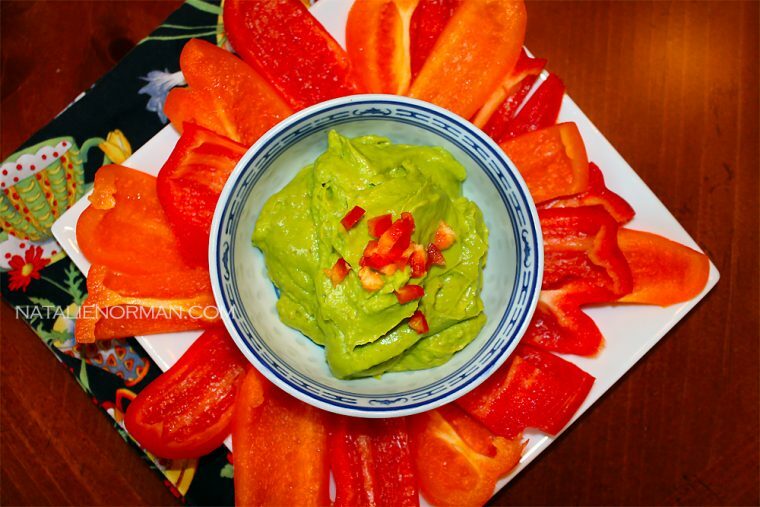 There are more raw food dessert recipes you can peruse here, but you get the idea. Don’t leave yourself without options. Alcohol does a few things to us that can sabotage our weight loss and fitness goals. It screws up the metabolism and packs on empty calories, no thank you! 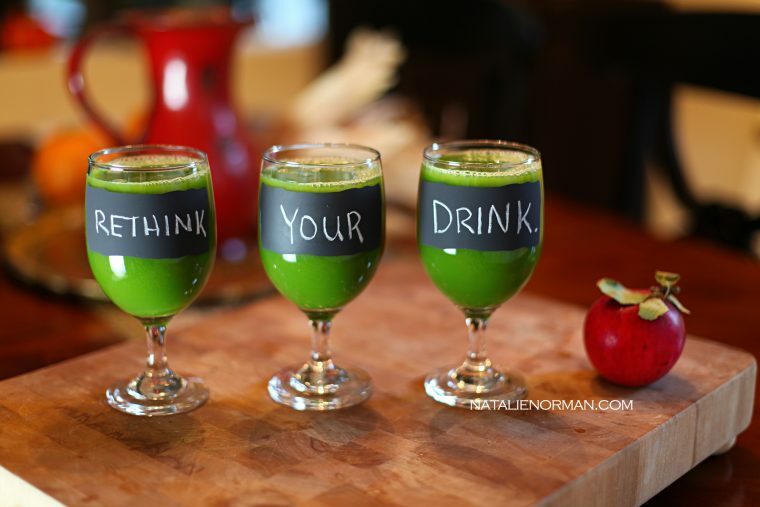 I suggest trying to incorporate green juice into your diet instead. Would you rather feel clear-minded and look glowy and hydrated? Or would you prefer to lose your judgment and wake up bloated and possibly hungover the next day? This for me is a no-brainer. 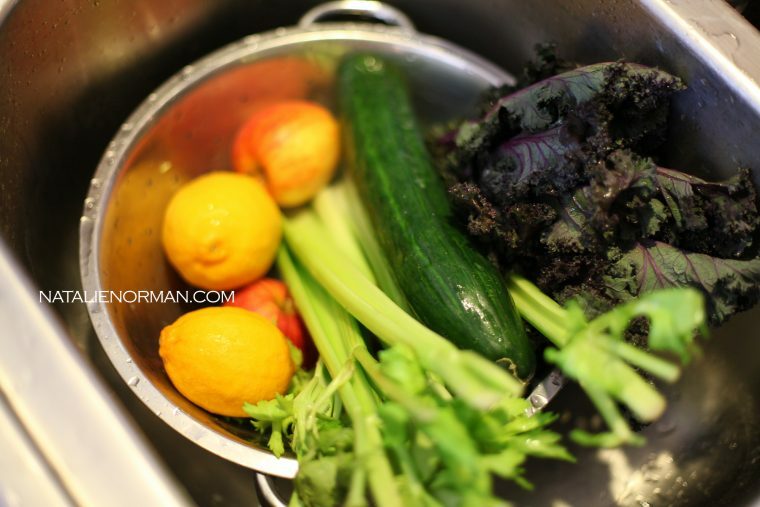 Wash ingredients well and run them through your favorite juicer. Easy peasy! Don’t buy into the hype that alcohol needs to be part of celebrating the holidays or any special occasion, for that matter. You are in charge of the traditions you choose to follow. And you can even create new, healthy traditions for yourself and your family. Remember my slogan: “Be a leader in your own life!” Create the reality you want with every meal and drink choice. 3. Eat one BIG salad every day! Adopting a completely raw vegan diet overnight isn’t always possible for everyone. In fact, it can feel daunting! One way to start a raw food diet is to simply build in simple, easy raw food meals to get your body accustomed to eating raw plants. If you can build this habit for a few months, your body will downright beg you for fresh fruits and vegetables if you skip a day. Remember, you are retraining your body and building a new and health-promoting foundation. This is not a crash diet. This is not a fad. This is not a temporary step to weight loss. This is a lifelong habit. Keep the long view in your sights and exhale, because you don’t have to be perfect right this minute. And no, eating salad doesn’t mean being boring. 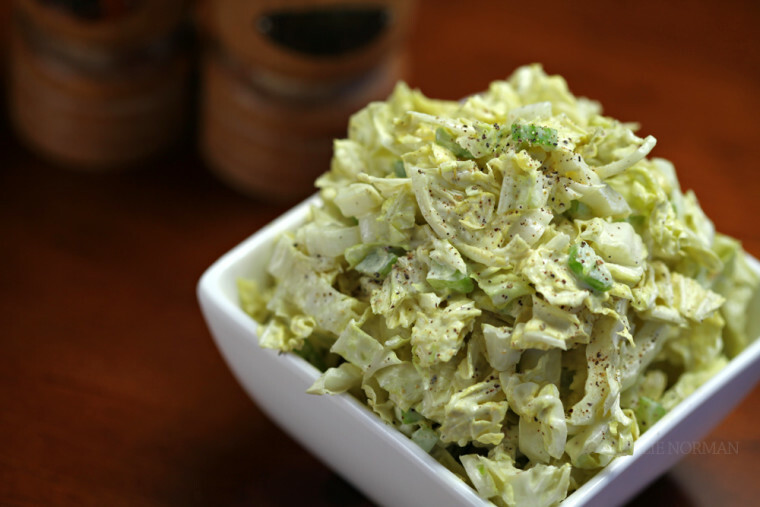 I want you to totally rethink the definition of the word “salad.” No longer does it entail a bowl of iceberg lettuce with a few sad tomatoes and mushrooms on top. Bleh! 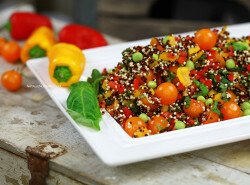 A salad is just a collection of delectable, fresh, tasty veggies, fruits, herbs, and even seeds, tossed together to make an incredible and satisfying meal. Forget traditional salad bowls, too. I eat my salads from big serving bowls! The only limitation is your own imagination! 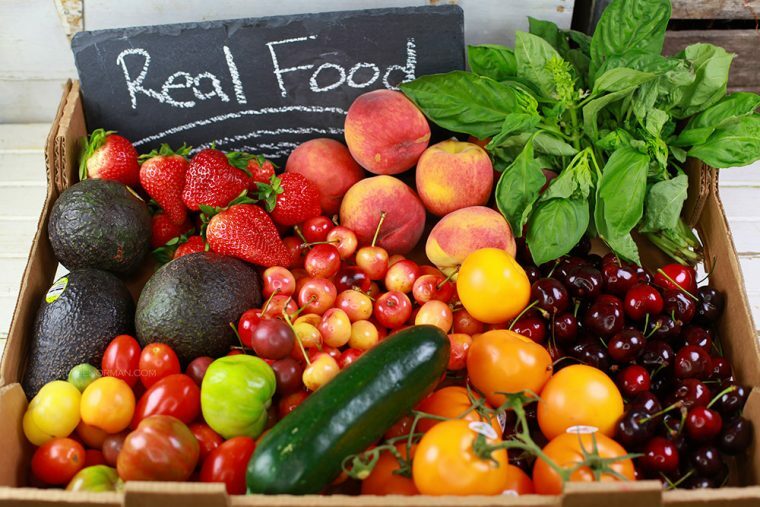 Train your body to expect that big bowl of yummy plants every day and watch the positive changes that can arise from all that fresh fiber, robust phytonutrients, and delicious flavors. Losing weight and eating healthy food does not mean starvation, being bored, or gnawing on a bunch of raw broccoli every day. Far from it. 4. Stay Supported! And remember I am here for you. You are not an island. Don’t isolate! I can’t begin to stress this enough. We were not put on this earth to live in isolation! Even if you are an introvert, too much isolation can lead to a negative mental state, overeating, and guilt. And once that cycle begins, we can start to feel bad about how we look or feel, leading to a vicious cycle of overeating and isolating. You just don’t want to go there. Technology is a fantastic way to connect us all and make us feel less alone on our journeys. It makes a huge difference when you surround yourself with people who are succeeding doing what you are trying to do. Yet with our crazy-busy lives and the fact that we are spread all over the place geographically, we don’t always have access to in-person support. That’s why online raw food education and lifestyle support become so critical and highly beneficial to your success. If you only have a few minutes to check in, you can easily do that online. Just reading a raw food post, seeing a photo of a delicious vegan recipe, or reading comments by like-minded individuals will continually reinforce the healthy habits you are building. This is true even if you’ve been vegan or raw vegan for many years. Staying supported and connected with each other is part of this lifestyle. Subscribe to my newsletter for more support, recipes, and to give you a direct way to contact me and let me know how your diet and lifestyle changes are going. I love hearing from my subscribers for that very reason! 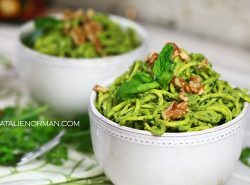 Connect with me and your fellow plant-based folks on social media on my official Twitter, Instagram, or Facebook for starters. I am always around and love love love seeing you online! You can also find a meetup or create a potluck locally in your area if that’s your thing. Make your weight loss journey a source of fun and joy! Ok, that about wraps it up. Be sure to let me know if you have other suggestions and tips for losing weight this year! I learn so much from my readers and subscribers. You are all such amazing people. Here’s to a healthy year! YOU are all my greatest gift. THANK YOU for being here. And, as the theme song to The Golden Girls goes…. Below I’m sharing my IG friend Aaron’s otherworldly rendition of that iconic tune for you to enjoy. I hope this makes you smile as much as it does for me!